Tired of chronic back pain? While Dr. Baar provides quality chiropractic care, the primary purpose of backbonus.com is to provide information about a very special therapy that I offer. It is called Computerized Spinal Decompression (CSD) therapy. This is an emerging therapy for the treatment of chronic low back pain. Devices using this technology include the DRX 9000, AccuSpina, Lumbar Rx, and Vax-D to name a few. 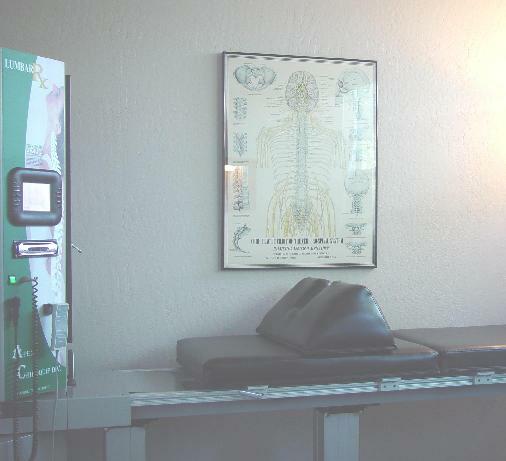 Specialist: As a board certified rehabilitation chiropractor specializing in chronic low back pain. Dr. Baar, D.C. is certified through the American Chiropractic Rehabilitation Board. I am listed on the Active Registry of the American Chiropractic Rehabilitation Board (www.acrb.org). Leader in CSD: I acquired CSD in 2003. I believe my practice was among the first to offer CSD to Salinas-Monterey and so provide the most experience with this 21st Century decompression therapy. Experience: Serving Salinas-Monterey since 1984.